Hello, i bought an Aocos PX103 with an RK3188, but I can't find an alternative firmware to mount, can i install a firmware of a different brand, overclocked maybe? Is a stock firmware available? Im searching for it too, please say me if you find anything my friend..
Is the tab already rooted? Then we can dump the firmware. Can someone help here dumping his firmware? Hello I have the aocos px103 tablet and i would like to help you but I dont know how to use the root & dump tool. Can you explain how to do it, because I have seen the screenshots but i dont know if i have to do anything before. Thank you very much! We have solved this meanwhile via PM. Maybe evilchuckk can provide the stock firmware for other users here?! You need to install the RK USB-Driver. Usually they come with the RK Flashtools. I also bricked my Aocos Px103, botting stay on the weaving "AOCOS" screen, reseting factory defaults do not help. Any chance someone to share original firmware? Thank you for this files Evilchuckk. 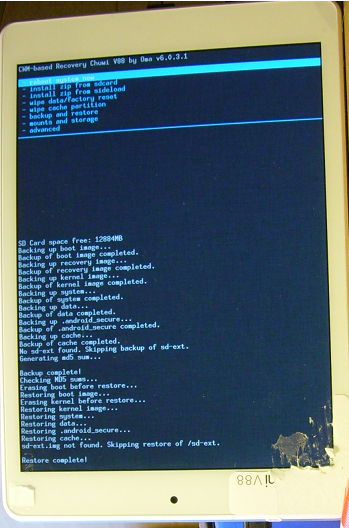 I installed CWM recovery in the tablet (http://www.arctablet.com/blog/forum/arctools-application/clockworkmod-cwm-recovery-easy-install-on-rk3066-and-rk3188-devices/) and it works very well. 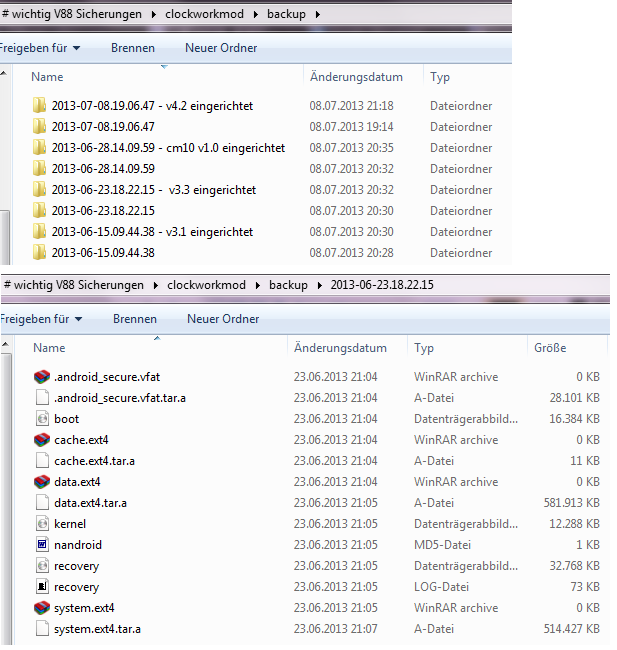 I make a backup but it doesn't create a file called system.img, the file system apears but with the extension "tar". Do you know why? How dis you obtein the file system.img? And do you know if the file ".tar" is good to make a recovery? Another thing is to install a custom rom. 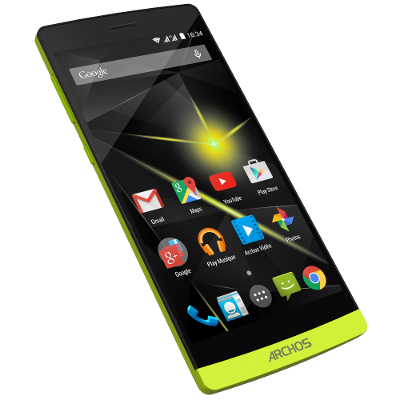 Have you installed any in your tablet aocos px 103? I have seen that the Pipo M9 has a very similar especifications so I don't know if a rom for this tablet could be use for our tablet. Both can do Nandroid backup without REBOOT into "recovery". Our RK3xxx CWM recovery is just that "recover" from a bad software mod or update it can only do "backup" and "restore" if anthing goes wrong with our modification such as a bad "build.prop" or any additional drivers that we put into "init.d" that causes a boot loop for example. But neither TWRP or CWM will produce a *.img file". Hope you guys understand this. Use backup to external sdcard. You can restore system by using advanced restore from external sdcard > system. System is in .tar format in this case. To flash images (.img) you need the RKAndroidTool. The problem with custom roms is your kernel. It is much bigger then the usual convention. I chanced parameter and kernel i erased idb and hit the run button but tablet couldnt open the cwm menu. Now i can only open update mode.